Former students of the College are encouraged to maintain their contact with the Loyola College Alumni Association (LCAA) by ensuring they are members and have provided any updated contact details in order to receive The Companion magazine. Please contact the LCAA secretary for any assistance required. All past students are welcome to attend or request a copy of the agenda and/or minutes. Please find the December 2018 edition of The Companion here. For past editions of The Companion, please contact the LCAA Secretary on 9433 0297 or email LCAA@loyola.vic.edu.au. Loyola Ex-Students Association has established an online business directory ‘Connect’, specifically for the Loyola Community. 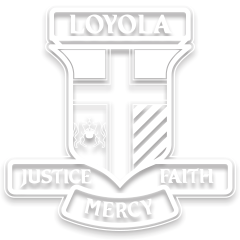 The directory is an opportunity to promote various products and services to a potential audience of thousands of ex-students and Loyola families, by way of an easy-to-navigate search engine. Please click here to find the LCAA Connect Business Directory. Should you wish to organise a reunion, require further information regarding the above reunions or the Loyola College Ex-Students Association, please do not hesitate to contact the LCAA secretary on (03) 9433 0297 or email LCAA@loyola.vic.edu.au. If you are already a member of the LCAA community and would like to update your details, please download the LCAA Contact Details Notification form and then click the submit button on the bottom of it.